Hello everyone! A little while back, the wonderful Grace offered to guest post on my blog. It was perfect timing for while I’d be away in Argentina! 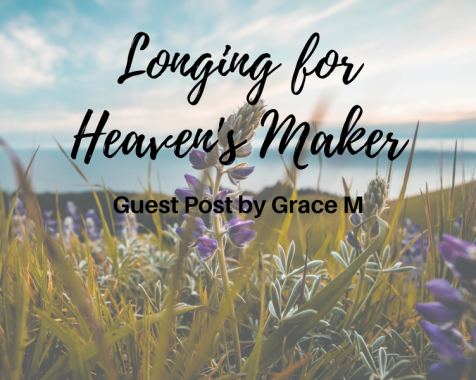 I loved her post about heaven and what we’re really looking forward to when we get there. I’m sure you’ll enjoy it too. Don’t forget to leave a comment and let her know what you think, and check out her blog for more wonderful posts! I prayed that prayer a several months ago during one of the hardest nights I’ve ever experienced. I wanted to be freed from the constant lies I heard in my mind and the constant insecurity I felt in my heart. My desires seemed perfectly acceptable. Nothing is wrong with desiring heaven, right? However, I realized that I had fallen into a common trap. I was longing for the peace of heaven but not the Maker of heaven. I didn’t care about worshiping God on His throne. I didn’t care about spending every moment with my Savior. I didn’t even care about reveling in the beauty of heaven’s golden streets and breath-taking splendor. I just wanted to be forever free from my pain and find eternal rest for my heart. Our sinful nature, with its continual selfish pursuits, longs for the benefits of heaven—the pain-free, worry-free, and sin-free life. But our new nature can long for the King of heaven—our holy, perfect, and glorious Savior. We often want heaven simply to enjoy its good things rather than to give God glory, but the true purpose of heaven is to be with God and worship Him for eternity. As we experience different stages of life, we have different fantasies of heaven. When we are young, we often imagine the fun we’ll have in heaven. When we grow up, we imagine the tranquility we’ll have there. When we get older, we imagine the health we’ll have there. All of our needs will be met. All the time. Forever. I used to hope that there would be rollercoasters in heaven. I imagined riding up to the top of the hill and not feeling the painful drop in my stomach as I came rushing down the track. Now, I think about the peace in heaven. I will always be joyful and free from insecurity, comparison, and loneliness. When I get older, I’m sure I’ll anticipate a pain-free life in heaven. I won’t experience ache, soreness, or illness there. Sadly, we often forget that we don’t deserve heaven. As sinners, we don’t deserve its magnificence. We don’t deserve to be near the holy presence of God. We don’t deserve to witness His splendor. The perfection of heaven is only fit for a perfect God. But the perfect God who created that perfect heaven is worthy of our adoration and our exhilaration for eternity because He allows us to enter it without cost. We did not earn the greatness of heaven, and we certainly do not deserve a pain-free, death-free, and worry-free life. And there are countless other reasons why we should desire to worship God in heaven. The God who brings us through sickness, provides friends and family for us, and holds us while we sleep at night will be there. The One who embraces us despite our squirming and loves us despite our weaknesses will be there. The One who orchestrates every miniscule detail in our lives and walks with us in every single step will be there. And the One who was tortured on the cross for our sins and forever conquered death will be there, too. And He deserves our praise. We can only supply distracted and inconsistent praise on this earth, but in heaven, we can praise Christ perfectly for eternity. God deserves perfect praise for the countless ways He has worked in our lives. Since we cannot praise Him perfectly here on earth, let us eagerly anticipate the moment when we can. Yes, the lovely things about heaven are exciting; but, ultimately, meeting our perfect Savior face-to-face is more exciting than anything heaven offers us. 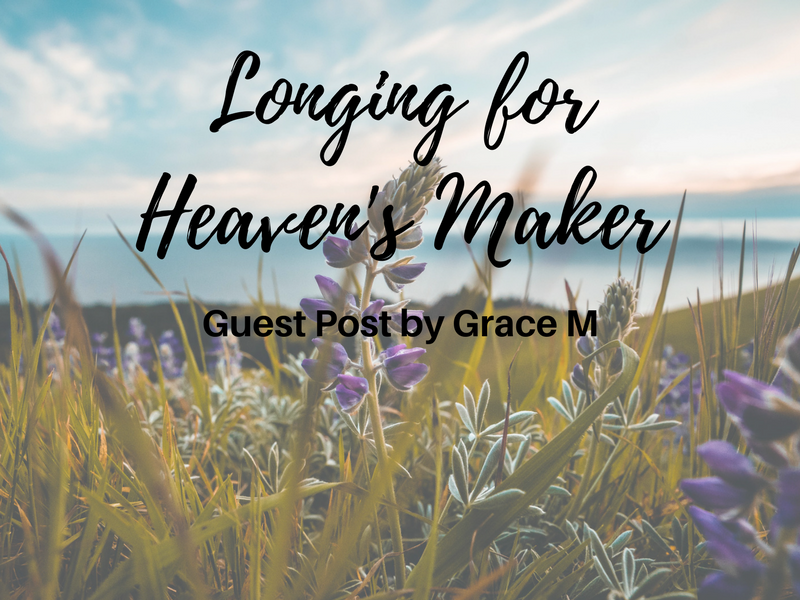 Grace M. is a baker, a blogger, and a writer. She enjoys spending time with her family, chatting with friends, and eating sour gummy worms. She blogs about the Christian life at Tizzie’s Tidbits. Thanks for much for letting me guest post, Amanda!